2014 Youth Ranger Program a Success! 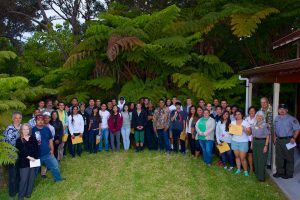 The Youth Ranger Internship Program provides education and career preparation to youth in rural East Hawai‘i. Youth train with park rangers in six different divisions within the park, including Interpretation, Natural Resources, Cultural Resources, Maintenance, Protection, and Administration.